I have heard of Buckeye Candy before, but for some reason, I have never made it. I can't imagine why. 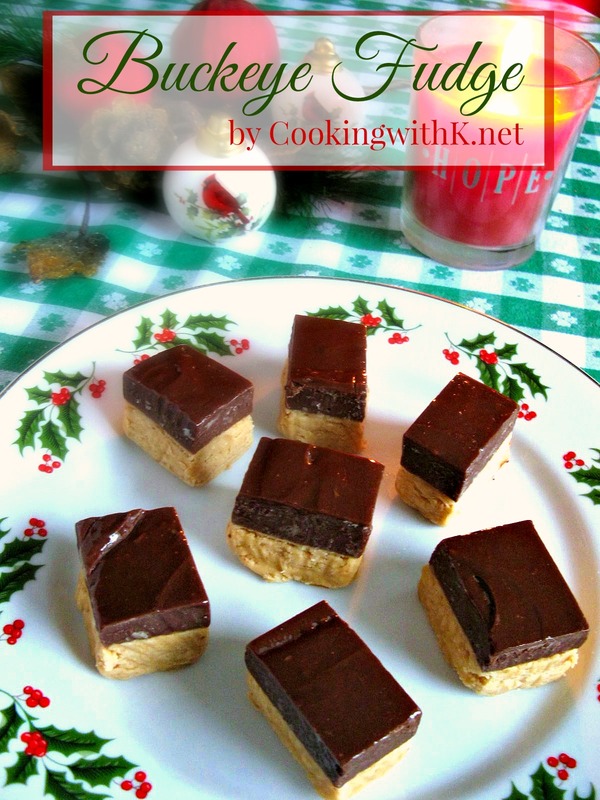 I first became aware of the Buckeye Fudge version from Christin over at Spicy Southern Kitchen. As soon as I saw this fudge on her website, I wanted to make it, and I knew it would be perfect in our Christmas treat boxes. I have to tell you, it is absolutely the best fudge. I mean, it is close to becoming my favorite fudge of all time with my Mother's Millionaire Fudge being my favorite. Buckeye Fudge is a creamy peanut butter fudge layer covered with a thick layer of chocolate ganache. This is the best way I can describe it. Two amazing fudge flavors stacked on top of each other. Like Christin says peanut butter and chocolate, "What's not to love!" Buckeye candy can be time consuming rolling and dipping each little ball. Now the fudge, it only takes 10-15 minutes to make the layers. That is quite a bit of a time saver. 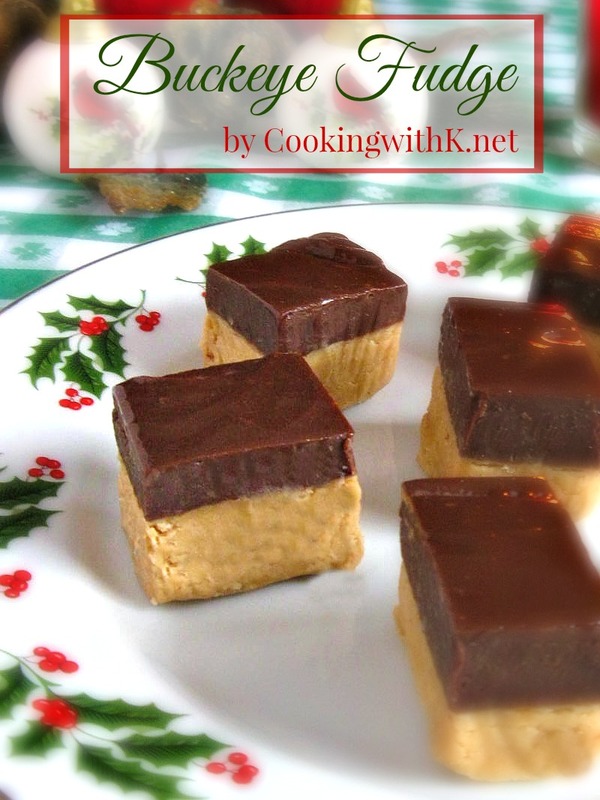 I hope you too can enjoy making some of this wonderfully delicious fudge for your New Year celebrations. Enjoy! In a 4 cup glass measuring cup, add peanut and butter. Microwave on HIGH for 90 seconds, stirring with a wire whisk after each 30 seconds. Stir in vanilla until creamy smooth. Pour peanut butter mixture in the bowl of an electric mixer. Slowly add powdered sugar a cup at a time using a paddle attachment of the electric mixer to combine. Mixture will be thick but soft. Spoon mixture in a parchment paper lined 9" square dish. Pat mixture down evenly; set aside. In a 4 cup measuring cup, add semi-sweet chocolate chips, sweetened condensed milk and butter. Microwave on HIGH for 30 seconds and stir. Microwave an additional 30 seconds or as needed so the chocolate and sweetened condensed milk is creamy smooth, stirring after each 30 seconds. Pour immediately over peanut butter layer. Smooth out with a off-set spatula. Refrigerate for 2 hours before cutting into squares. 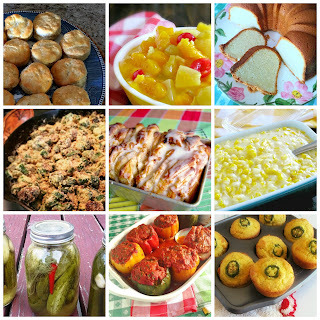 This post maybe linked to Weekend Potluck, Two Cup Tuesday, Wednesday Whatsits, Foodie Friday, Freedom Friday, Super Satuday, Link Party Palooza, Inspiration Exchange, The SITS, Whimsy Wednesday and all these fabulous parties! 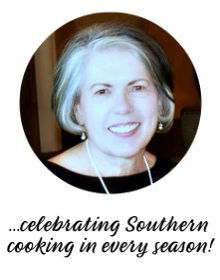 Kay, this sounds wonderful- thanks for sharing the recipe! This goes right on the list for next year- it sounds like a MUST MAKE! :) Happy New Year, my friend! Next year will be here before you know it! Happy New Year to you and your family!! I I know what you mean sweet friend…Happy New Year to you and your family…it's going to be a good one :) Praise the Lord!! Wow - I can feel the pounds sticking to my hips just reading this recipe! :) Ah well, I guess I will just run around the block a couple more times. Thanks so much for the recipe. Peanut butter and chocolate is my all favorite combination, so this will fit nicely in my dessert library! I found you at Pure Blog Love linky party. Have a great New Year! Thank you so much for attending week 15 of #PureBlogLove and linking your fantastic blog post. The more I look at this fudge that hungrier I get! I just love the combination of peanut butter and chocolate. I can't wait to see what you have in store for our party next week Thursday 8 PM EST- Sundays at midnight. Your post has been added to the #PureBlogLove Pinterest board for all to see :) Have a great day! I am a fan of peanut butter and chocolate too…thanks for stopping by! I dare say...you have become the fudge queen! 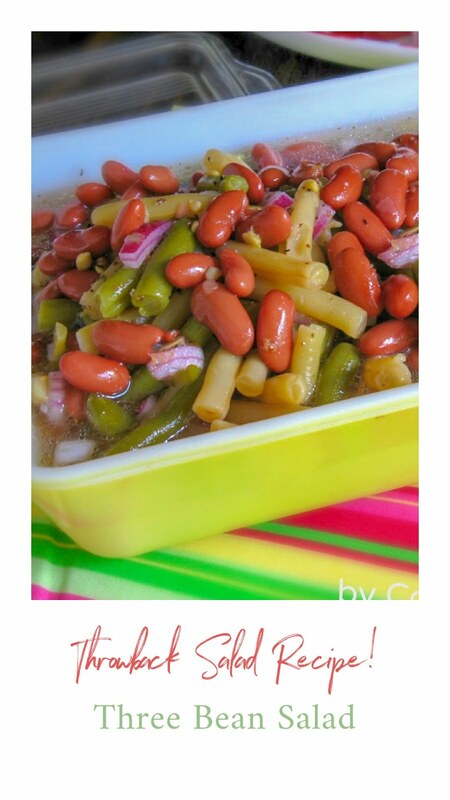 =) What a super idea to make this combo in a pan. Love it! Thanks much for sharing with us at Weekend Potluck. May you and yours enjoy a wonderfully blessed Christmas week. Hugs!